With its mid-19th century ornate décor, and fine antiques, the Enfilade is popular for festive occasions, grand receptions and cocktails. 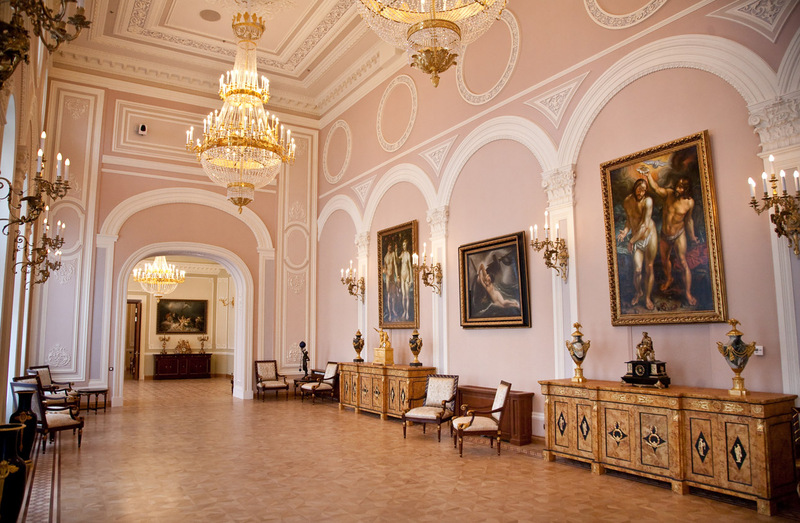 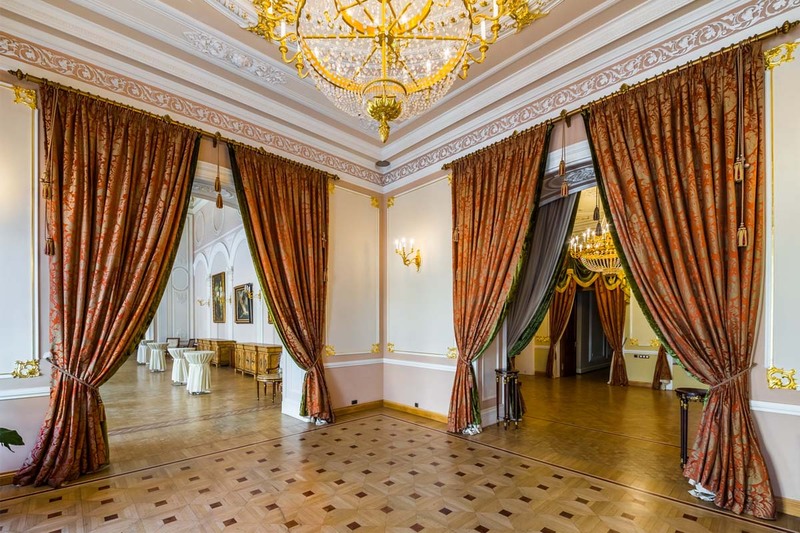 The windows of the Enfilade overlook Nevsky Prospect, giving this entertaining space added grandeur. 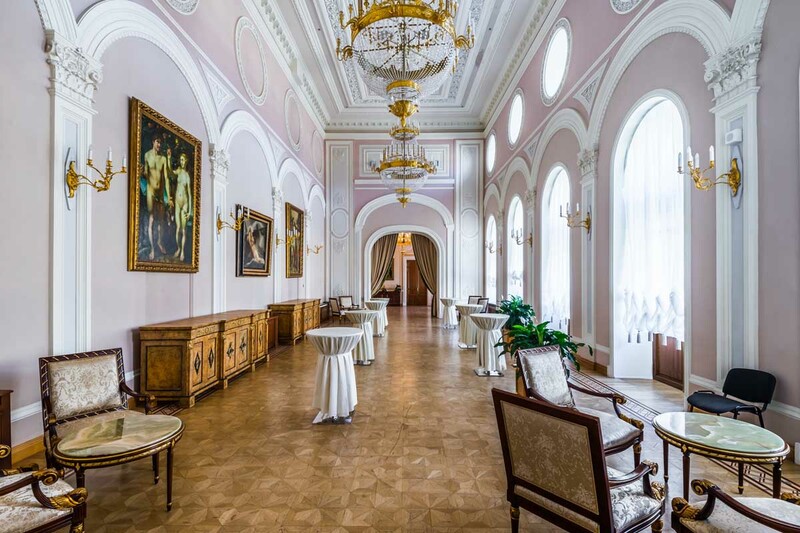 The Enfilade runs between the Empress and Emperor Suites, and can be combined into a single space. 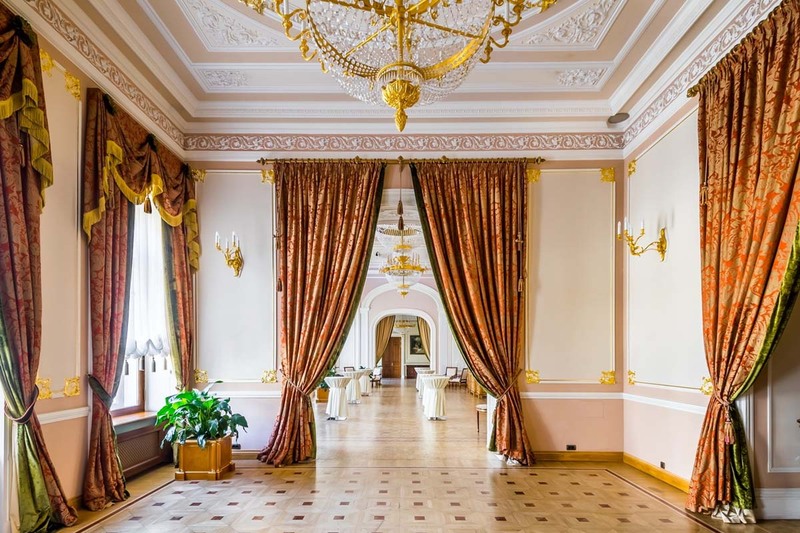 The Imperial Grand Hall can also be added to the Enfilade, offering an impressive suite of entertaining rooms.